What makes a car stand out? What makes it become one of the best or top cars in Australia? Who determines which car is the best? Australia’s Best Cars is one of the country’s most trusted car testing and awards program. Each year it tests some of the most popular cars on the road and determines which ones are the best. Why is the small cars category so competitive? It is the biggest selling category in the country because Australian buyers are looking for economical cars that are value for money. These cars are perfect for first car buyers, families that are looking to downsize from a larger vehicle, people that drive in the city often and small families. With the help of some of Australia’s motoring clubs such as NRMA Motoring, RAASA, RACQ, RACV and RACT, this program rates cars across 15 categories. This car won the award for the best small car under $35,000. It has an indicative drive away price of $26,404, and it is manufactured in South Korea. Although it is a small car, the Hyundai i30 Active is very well equipped with features such as 7 airbags, comfortable front seats and a back seat that can fit 2 adults comfortably. The Active has a high ANCAP safety rating, which explains why it commands great insurance prices. 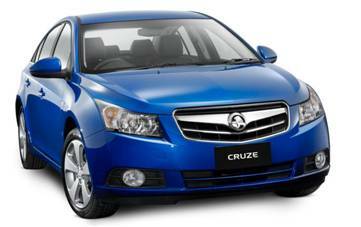 The Holden Cruze, unlike the Commodore, is a small sized car that fits in well with the current economy. It is the type of car that is perfect for Australians that want to downsize from the much larger and expensive cars. Both the sedans and hatchbacks start around the $19,490 price. Buyers will love the 1.8 litre engine and five speed manual transmission. It also is available with a 1.4 litre engine and automatic transmissions for a few thousand more. All in all, the Holden Cruze did not rate in the top three spots for either of Australia’s Best Cars’ award program; however, it is still a good value for the money. It is also a top choice for the future. This car was a finalist in the category for small cars priced under $35,000. It has an indicative drive away price of $31,458 and is manufactured in Germany. This particular car is very road worthy and provides a comfortable ride. The Comfortline has a sleek body style that is very well known. However, in terms of maintenance costs, insurance and price, it is a bit higher than the Hyundai Active. Most drivers will like the 7 speed DSG transmission, but it is not as smooth as many of the other automatics that are in this category. The Kia Cerato Si was a finalist in the small cars priced under $35,000 category. It is a 2 litre direct injected petrol engine, with a 6 speed automatic transmission. It has a $28,682 indicative drive away cost, and it is manufactured in South Korea. 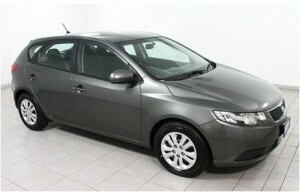 Cerato is priced in between the Comfortline and Active, but is has a higher fuel consumption. All in all, it is a quality car that performs well. The Audi A3 was the winner for the best small car over $35,000 category. It has a price of $43,346 indicative drive away and it is manufactured in Germany. It is a 1.4 litre turbo with a 7-speed DSG automatic transmission. This luxury car is in high demand because of its styling and performance. This COD model makes the Audi very competitive. This means that the car normally drives on four cylinders, but will change to two when there is no need for them. As a result, buyers can expect higher fuel efficiency. The Audi A3 has exceptional ergonomics, is very comfortable and stylish. The Mercedes A180 was a finalist in the small car over $35,000 category. It has an indicative drive away cost of $40,103 and is made in Germany. It is a stylish car that has a somewhat retro feel and look. The Mercedes A180 is comfortable and handles well. Although it has great fuel consumption, it did not receive high marks in ergonomics. Another concern is that the A180 has high repair costs, but it has a good list of features that are standard. The BMW 116i was a finalist in the small car over $35,000 category. The German made beauty has a 1.6 litre turbo engine and an 8-speed automatic transmission. The BMW 116i might not be as inexpensive as the Audi A3 Sport back, but it has better fuel efficiency than its earlier version. For a hatchback, it has a lot of torque. In addition, it is easy to handle and has a smooth ride. It is a comfortable car, but it received a low score when it comes to standard features. Overall, the small car category is very competitive and this means that there is plenty of value for buyers looking to enter this section of the market.